Back in 2016 I spent 7 consecutive weekends at my friend Barb’s condo just a few miles from my house. She offered it up as a creative get-away space while she and her husband were traveling the world. I couldn’t have known how instrumental that time at her place would be in the return to handwork and ultimately to weaving and my purpose as an artist. As much as I would’ve loved to take a 7-week break from my life (ha!) I knew I had to structure my time responsibly so that my family didn’t suffer from my absence and so that I wouldn’t waste a single moment of my time away. I committed to the weekends - arriving Saturday morning and returning home Sunday night. I had a list of work projects that I could begin to tackle … and then, just in case, I bought a few supplies for a weaving idea I had based on a piece I had made 18 years earlier. Now, by 2016 I had not done any weaving in over 15 years. I first learned how to weave with some old Finnish ladies in a community weaving center in Oulu, Finland in 1995-96. When I returned home after my exchange year I studied weaving for a year at UW-Superior in 1996-97 and again briefly in 97-98 at the University of Minnesota-Duluth - before transferring from Fine Arts into Liberal Arts to focus on Architecture. 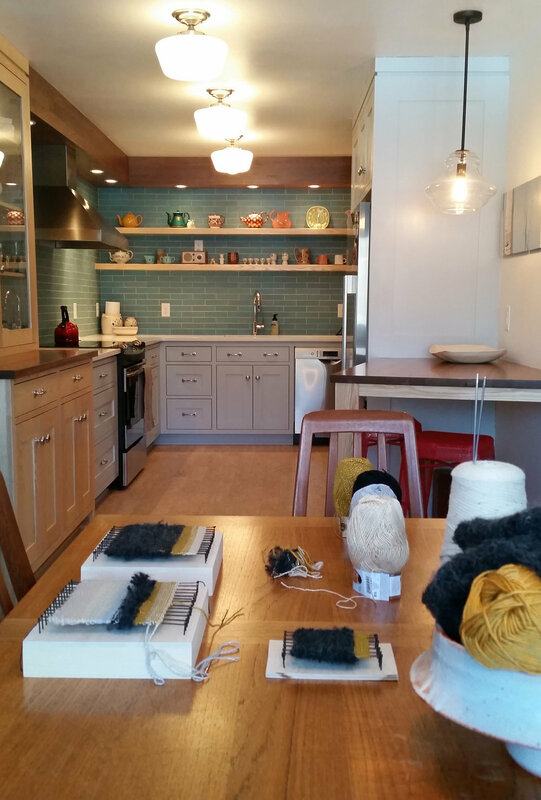 When we founded Silvercocoon in 2001, I was weaving on my floor loom at our home in Duluth. But after September 11th, something changed in me and I started telling myself I needed to be more practical and responsible. The world was different and I should be doing more responsible things than playing around and making things. And then I stopped weaving. I stopped making anything for a while. Design felt practical and responsible and that is the direction in which I returned my gaze and I kept it there through several design jobs, through the birth of my two sons, and even as I built my jewelry business and ultimately through burnout in 2014. So, many aspects of this art retreat at Barb’s condo are truly miraculous … that the opportunity came when it did and that I was able to accept it and allow myself a measured amount of free time to begin the road back to healing myself. But it was more than simply the time away, it was the weaving that coaxed me out of my restricted existence. It was the weaving that was healing - miraculous and inevitable I suppose. The collection of 12 weavings that I created in 2016 have been boxed-up and mostly not shown to anyone for over two years. 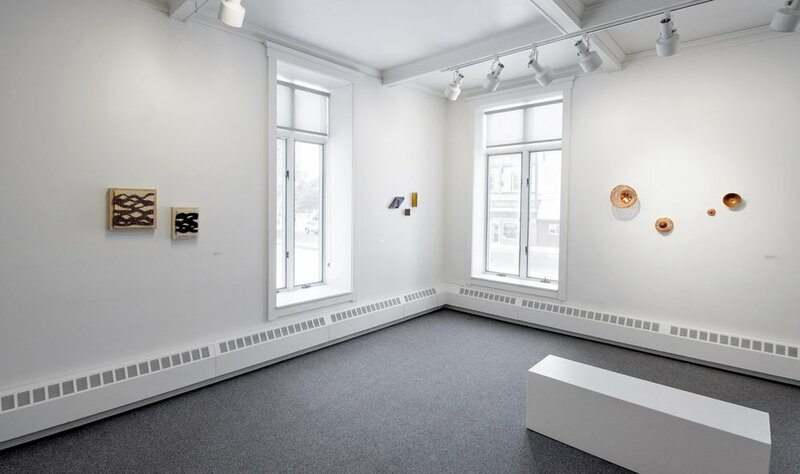 Eight of them are currently on view in my solo exhibition PERMISSION at Finlandia University Gallery in Hancock, MI through February 15, 2019. Sharing this work, even years later, feels like opening the door to the future. Allowing myself permission to weave again feels like opening the door to my personal history and that of my ancestors.